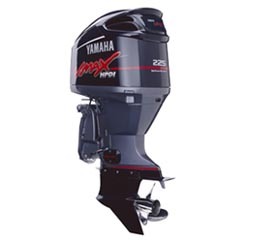 Yamaha has developed a new high pressure direct injection system that ensures low fuel consumption and equally low emissions (exceeding the USA EPA 2006 Minimum Emission Standards). Fuel is injected at 70kg/cm2 (compared to between 6 and 30kg/cm2 by other manufacturers). This ensures greater atomisation and much cleaner combustion. An onboard computer ensures that exactly the right amount of fuel is injected at exactly the right time resulting in maximum horsepower with minimum fuel usage and no wastage. The onboard computer monitors various engine functions and enables a technician to easily diagnose any problems or faulty equipment. This information is accessible via a laptop computer or the new onboard command link digital gauges. Please enter the answer to the simple sum below. This validates that you are a real person and not a SPAM robot.